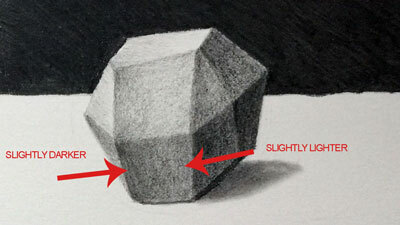 Knowing how to create strong focal points in art is a skill every artist should understand and be able to execute. Focal points refer to the areas of the artwork that demand the viewer's attention. Intelligent placement of focal points can positively affect the overall composition of the artwork. Creating good artistic composition takes knowledge of how your artwork will be viewed. Understanding how your audience will view your artwork will help you to communicate more effectively through your artwork. Creating focal points in your artwork is one way to be in control of how your artwork is viewed. There are several devices that artists can use to ensure that subjects are seen in an artwork. These subjects become the focal point(s) in the imagery. One way to create a focal point in art is through the use of contrast. Contrast refers to difference. Any type of difference in imagery will result in that element becoming a focal point. Difference or contrast can come in many different forms. Color, value, texture, shape, and form can all create contrast. By combining elements, you can increase the contrast that is created, thus strengthening the focal point. Another way to create a focal point in artwork is through isolation. Whenever one object or element is separated from a group it becomes isolated and in turn, becomes a focal point. 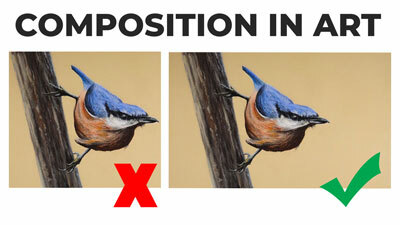 Objects that are placed in the center of the picture plane or near center, will naturally become a focal point. Most of the time, a focal point that is not exactly center is preferred. By placing an object or element just off center, you can create a focal point through placement without affecting the aesthetics of the work. A fourth way to create a focal point in artwork is to use implied lines to direct a viewer's eye to an object or element. This technique is known as convergence. Another way to create a focal point in artwork is to introduce an object or element that is unusual to the scene. This object will stand out and demand attention thus creating a focal point.